Hereford is the gateway to the Upper and Lower sections of the beautiful Wye Valley, which makes Hereford the ideal place to set out from to explore some of the most beautiful parts of England & Wales, and makes Wye Valley Campers the perfect place to hire a campervan. For centuries, the borderland of the Wye Valley has been fought over by the English and the Welsh, which means that this part of the UK is jam-packed with history, ranging from the Mappa Mundi (a very early 13th C. world map) in Hereford's Cathedral to ancient castles with amazing backdrops to unique history. If History isn't your thing, you'll be won over by the natural beauty of the Wye Valley. Parts of the valley have now been designated as Areas of Outstanding Natural Beauty, so why not follow in the footsteps of artists, poets and writers. For those just looking to have fun and adventure you will not be disappointed. You can navigate the River Wye by canoe. Or you could explore the UK's first designated National Forest Park – The Forest of Dean - which soars to 290 metres at its highest point. 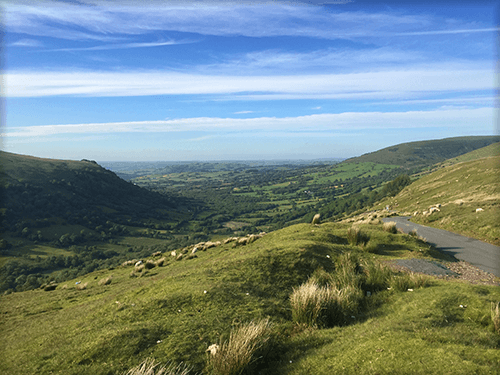 There are also numerous walks including parts of the Brecon Beacons National Park, Offa's Dyke and Wye Valley Walk. Here at Wye Valley Campers we want to share with you the magic that's on our doorstep. We believe passionately that if you spent every weekend travelling the Wye Valley you would not run out of things to do. Located in the heart of Hereford, Wye Valley Campers knows the Wye Valley better than anybody, so why not hire one of our campervans and have the freedom to explore the Wye Valley in the way you want to.